This is a shield-shaped Patten-Blinn Lumber porcelain sign. This particular Patten-Blinn Lumber sign is predominantly black and brown with white text. 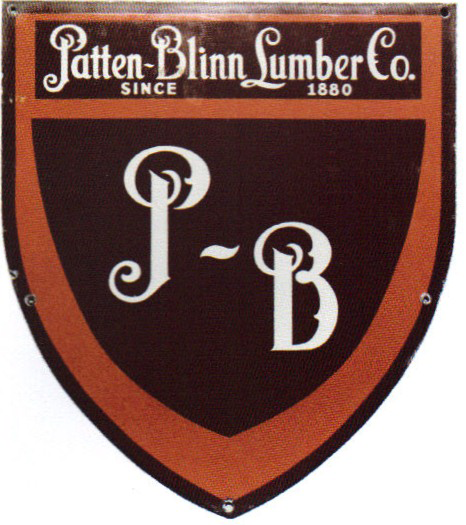 It reads, “Patten-Blinn Lumber Co., Since 1880, P – B”.